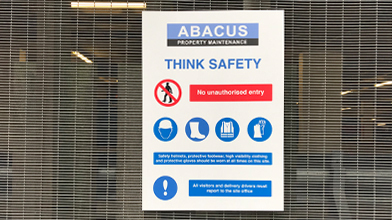 We have a full range of standard Health and Safety Signs available as both Self Adhesive Stickers and as ridged boards. Most graphics can be fully customised for no extra charge. 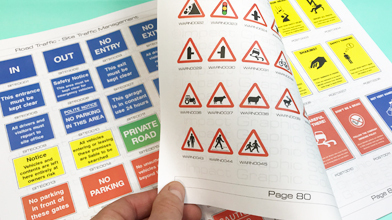 The images below show a selection of the options, but if you don’t see your sign just ask. We probably have it.